You don't want to spend time creating big item shops? 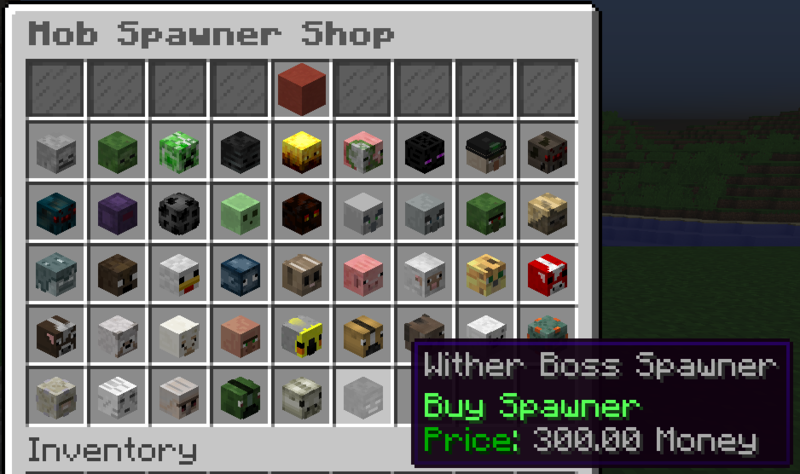 Don't worry: The addon ItemShops comes with big pre-made and super fast to expand/edit item buy- and sellshops. Besides here you can find a few shop/menu examples. Note: BossShopPro supports all BossShop shops. Note: The following resource pack was made by me. Requirements: Just BSP and a custom resource pack if you own one. Note: In 1.12. * and below numerical material ids were allowed, some material names were different and the way item durability worked was different. This was changed by the Spigot 1.13 update. Besides these changes 1.12. * and below shops are basically still identical to 1.13. * and above shops. Open Layouts and Copy/Paste this Inside. Do you want special features which are not included in BossShopPro? You can simply make players execute commands of any other plugin by clicking a gui button. For example, if you want to provide players a sell-all button (which sells their whole inventory) simply download any plugin with the wanted Sell-All command and create a shopitem with rewardtype "playercommand" and reward "sellall". That way basically anything is possible. - lore:&cCosts 5 Player heads. - lore:&cThis item is visible at night only. - lore:&cThis item is visible at day only. - lore:&cThis example command is executed with op permissions. - lore:&8No Barrier can stop you! - lore:&8Where are you? I can't see you! - lore:&8Ahaha only Gods can defeat you!! !